Do you have an off-grid cabin, an RV, or a boat? If the answer is yes, you must need a solar panel to charge your appliances – TV, laptop, Smartphone and so on. 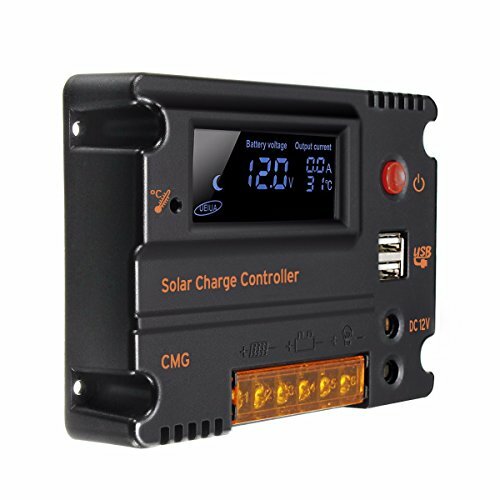 An essential part of a solar panel on your RV is a solar charge controller that saves your batteries from overcharging and never leaves undercharging. To enjoy a steadier control over your off-grid electric supply, you must set a charge controller or charge regulator between the panel and the battery. A solar charge regulator will ensure the maximum energy output from the panel whether it is a sunny, shady or a rainy day. But there are some critical considerations to make before you reach for a right solar charge controller. Chances are high that you might go baffled as there are numerous products of identical features in the market. So it is urgent for you to be well-informed before the purchase. This short guide consisting of five reviews on the best products of solar charge regulators will surely take you to the one suitable for you. Along with best recommendations, you can know how a solar charge controller works and how to narrow down your choices to come out with the regulator as per your requirement. Which Is Solar Charge Regulator You Are After? What do PWM and MPPT refer to? What is the battery temperature compensation? 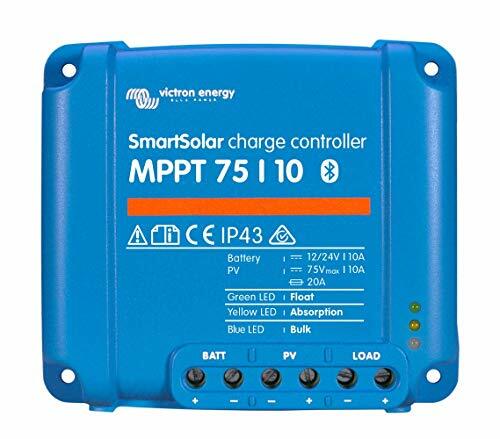 What is the additional benefit of MPPT solar charge controller? When Do I need a solar charge regulator? Outback FM80 solar charge regulator has already earned the tag of a classical product of its kind. It has done so by virtue of its quality and performance. The max handling of Outback Flexmax is 150 Volts DC resulted from the solar panel or array that can boost the battery with current from 12 VDC to 60 VDC. You can charge your appliances ranging from a tiny mobile to a TV. The display makes it stand out that presents the current status of charging with 80 characters. You can also witness a data log of last 128 days in the display. This solar regulator makes a distinction between the advanced functions and configurations it can be manipulated by. If you select Outback Flexmax MPPT for your off-grid cabin, you can connect an additional MATE system display and controller that will let you enjoy the most updated functions and optional configuration to make jobs easier for you. For example, the MATE3 controller is compatible only with Outback brand inverters. And this MATE3 can handle a combination of the FM80 and the inverter via a HUB communication manager. 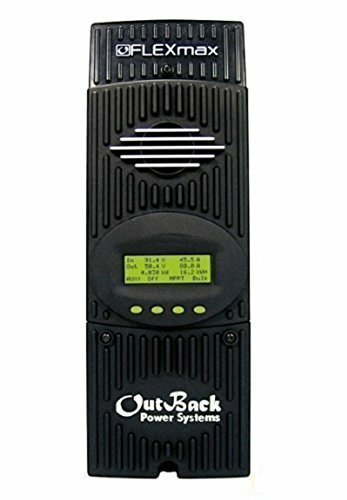 Being an MPPT solar charge controller Outback provides you with a ceaseless supply of electricity and the compatibility facility comes as a bonus. Judging by the mechanical facility, quality, and performance, it should be costlier one of its type. But you can get it at an affordable cost comparing with the MPPT charge controller market rate. Can handle 12V DC to 60V DC. Victron SmartSolar offers a wide range of versions to suit your requirements in terms of features and size. The intelligent engineering and designs equipped with latest and fastest technology, SmartSolar provides you with the utmost energy output. You can get your electronics fully charged in the most rapid possible time. Victron stands out for the latest and smartest facility it has come with. With the Bluetooth mode enabled, now you can maneuver the charge controller form a long distance. That will get rid of the fatigue of reaching the setup every time you want to customize it for the variety of needs. This smart feature lets you charge your Bluetooth-enabled devices from away. Moreover, you can reap this benefit to the fullest if and when your installation is connected to the internet. To enjoy more control over and quality service form the charge controller, you should go for the Victron battery monitor BMV-700 series. With that by the side of the charge regulator, monitoring live status information such as solar watts, battery voltage, the current output from the panel, and charge current will be super fun. Victron SmartSolar is the best RV solar charge controller that is a perfect match with the big name Victron. This is one of the Victron exclusive products that stand above the average and is traceable among the crowd at sight. 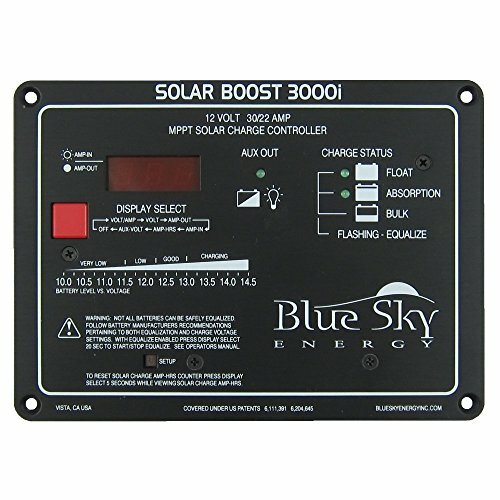 The Blue Sky SB3000i solar charge regulator is one of the best charge controllers for RVs equipped with the up-to-the-minute MPPT technology. This is a smart recommendation for small solar PV systems. Blue Sky SB3000i, being the DC voltage charge manager, perfectly works both with the higher volts 60 cell unit and 36 cell unit of lesser volts. At top voltage unit, it supplies 22amp to the max and 30 amps at the minimum voltage unit. It comes with a low power display that exhibits battery voltage, voltage solar panel, and both input and output current. That will enable you to notice the boosting up and down of the current as the gap between source current and charge therefrom will be displayed on the screen. An LED screen shows the active charge status and notifies when the battery charge is at the peak. It features three charge stages – bulk, absorption, and float. The auxiliary output capable of controlling 20 amp LVD load or 2amp additional battery charger for a secondary charging source makes it stand out glaring. When you are on an RV, you very often may be in need of a secondary charging source. It is equipped with an IPN Network Mastering that can maneuver up to 7 remote charge controllers that are compatible with Blue Sky Energy IPN. The SB3000i digital display will show the coordinated activities whether the networked controllers are working as a single co-ordinate unit or not. You will go for Mohoo virtually for all the reasons – it is a budget charge manager and so affordable. Along with that Mohoo is a top-rated selection by virtue of its intelligent design, high capacity, and efficiency for a PWM solar charge controller. The most intelligent design and engineering Mohoo can boast of is its automatic turn-off feature when the battery goes below 8 volts. This feature contributes to the longevity of the regulator. Mohoo can manage the working of both the panel and the battery by default. On top of all that, it is very handy to install and operate. It is designed to fight wet damage by a moisture-tight coating that will keep it safe from humidity and trapping insects. It is featured with a maximum 240W capacity but advisable would be to limit it to 200watts to avoid any unwarranted situations. You can use this controller with 12V and 24V systems either. Because being an efficient charge controller, it would function flawlessly with both higher and lower voltage with the least loss. Mohoo 20A is certainly not the most efficient controller in the market but with 20amp this PWM charge manager is just more than efficient for the smaller systems. Solar charge controllers mean to be a savior when the battery is getting overcharged and discharged. But this one stands out as it saves your battery form undercharging by its automatic turn-off feature. Connection terminals are too close. Charge regulators are meant to be efficient and safe. But the one with an intelligent design and stylish & sleek look cast a spell upon you. The Renogy as a brand is the manufacturers of high-quality solar equipment. In line with the brand reputation, this Wanderer offers simple and sophisticated design. Worth mentioning design is the setting of the LED indicators along the top border displaying three live colours. The green light signifies power-rise, red light stands for charging, and the solar light signals you that charge is full. Renogy Wanderer has the capacity of 30A current that can handle 360 watts of power but for safety, you should operate at 300 watts. This PWM controller facilitates you by allowing you to handle both sealed and AGM battery with a bit higher voltage. This is the feature what drives it miles ahead than its rivals. Besides the basic efficiency features like fast charging at the higher voltage and no charge loss at the lower voltage, it offers supports for negative grounding. When the negative wire is tied to the vehicle chassis or put under the earth, wiring cost is saved for longer runs. This is a temperature sensitive charge controller what cools at low voltage and warms at high voltage. Thus this will make for the temperature gap. So long the safety measure is concerned; Renogy Wanderer PWM regulator saves your battery not only from overcharging and discharging rather it ably protects the battery from short-circuiting. LED can't provide all the data. Given myriads of selections in the product-studded electronics store, it obviously will pose too tough a confusion to come out with the right one. To clear out that jetlag, you have found answers to several questions very crucial to narrow down a huge gathering and reach for the regulator that suits you. One goes, "What do you need a solar charge regulator for?" An answer to that question will help you find another reply to "what the type of controller you should go for – PWM or MPPT? And you must know that MPPT charge controllers are for heavier power supply and power comes in exchange of money. Charge controller depends on the size of the solar systems you are using. 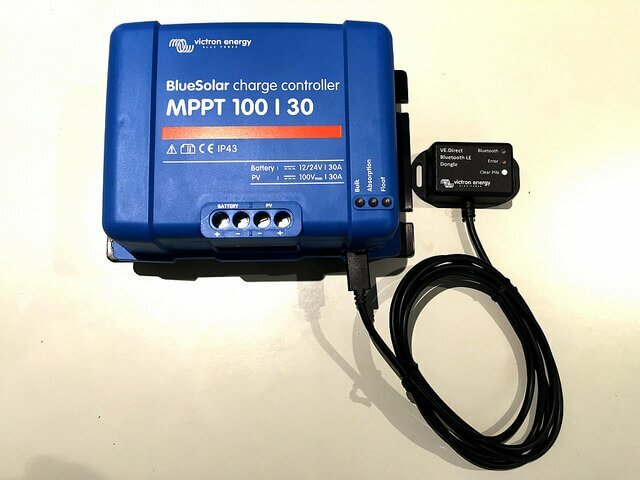 If you have a heavy solar panel or array of solar panels, you should go for the MPPT charge controller. This may cost manyfold that a PWM charge controller charges. In case of moderate power demand, you will certainly use a mid or small size solar system that will be pretty covered by a PWM regulator. In this guide, you have two PWM controllers - Mohoo 20A Intelligent & Renogy Wanderer 30A to answer your moderate or low power need. And when you are to control a massive solar panel, you can go for one of the MPPT specifications reviewed - Outback Flexmax FM80, Victron SmartSolar Bluetooth, and Blue Sky 30A. You can consider and compare the costing of the controllers by the type. When you need an MPPT version you cannot opt for a PWM version for lower cost and vice versa. There is no go-between-the-road in this regard. Better to read and re-read the features in the reviewed products after you have determined the type you need. And then compare the price and ponder over the price gap and benefits. Thus how you can make the best purchase. PWM stands for Multistage Pulse Width Modulation and MPPT for Maximum Power Point Tracking. 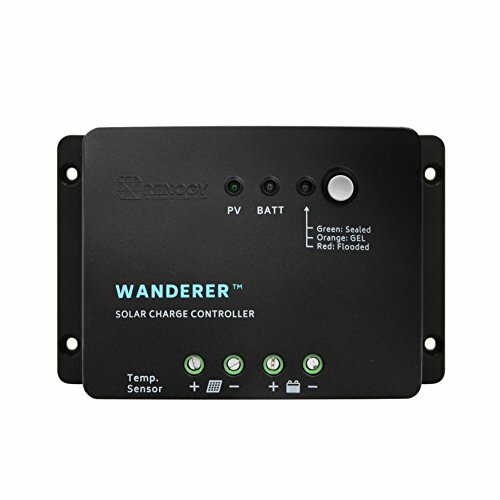 Both the type is recommended for your RV solar charge controller. While the former will provide you with faster and max charging, the later will boost the charging power to your batteries. It is a must-have charge regulator feature that adjusts charge control voltage based on the battery temperature. The solar charge regulator equipped with this feature raises the regulation voltage when the battery is cold and drops the regulation voltage when the battery is hot. It is crucial to prevent the battery from being overcharged. Ans: MPPT solar charge regulator will draw 15-30% more power from the solar system than a PWM regulator. This totally depends on the power of the solar panel you are going to install. Solar panel with the output power of 20w or higher requires charge controller. You are reading this section means that you know everything you need to make an informed decision. This review guide has not only recommended you the five best solar charge controllers rather gone to the extent of helping you single out the right version for you. In addition, by answering to several critical questions it has enabled you to develop an expert opinion on the basic features and benefits of a solar charge controller. The prices of the products range from budget to high cost but the benefits are all high end. There are seamy sides of every product that is covered in the cons below every product description but none of them are the deal breakers.